this bread is a bit experimental. I tried to revigorate the starter, so it grew to quite a big volume over the last few days. 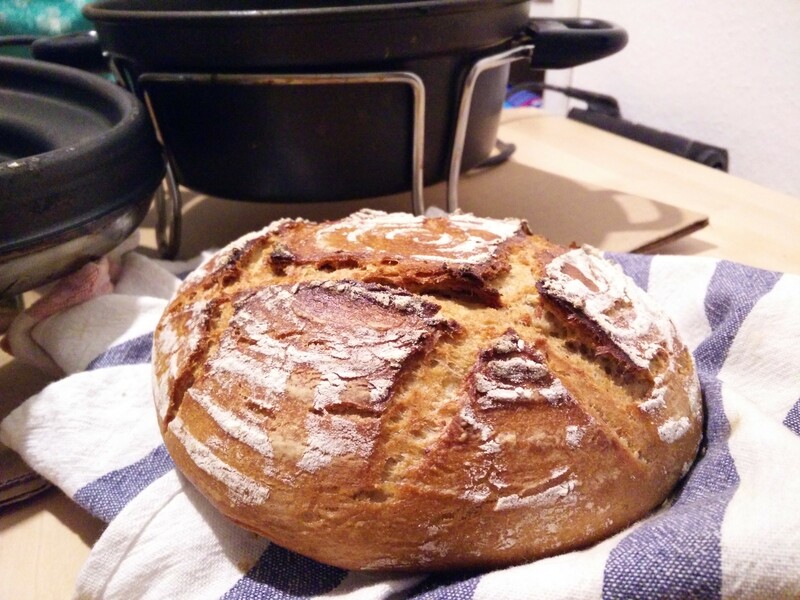 That went into this bread without much ’proving’ time, because I didn’t plan it right and it was too late in the night. The final dough rested maybe 2 hours. The flour ratio is otherwise about my usual 1:1.